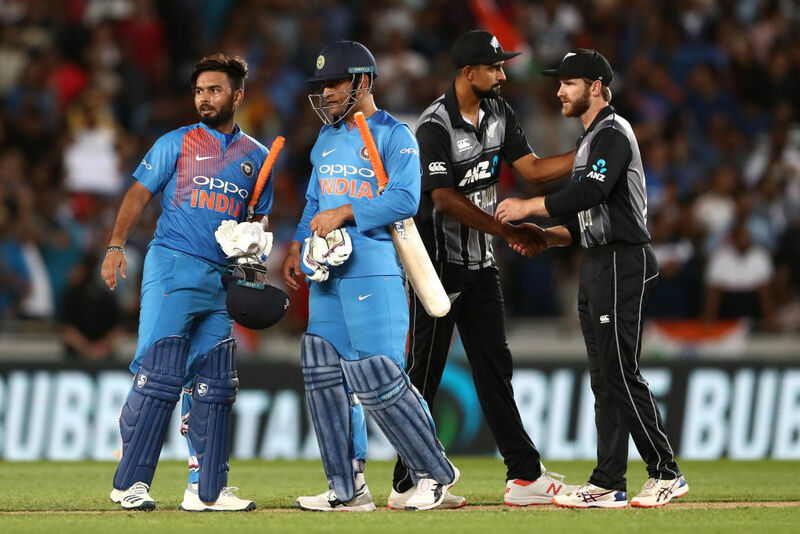 After India outclassed New Zealand in all departments, both teams will be aiming for a victory when they play in the series decider on Sunday, 10th of February at Hamilton. Both teams are equally balanced side in both departments, and only the better team in the series decider will prevail as winners. India are expected to field the same side with which they played the first two T20I’s. New Zealand on the other hand would look to involve Jimmy Neesham into the squad in place of Daryl Mitchell to solidify their attacking power in the slog overs. Solid Batting Line-up – The Kiwis possess a dangerous and reliable batting line-up within their ranks. The likes of Colin Munro, Kane Williamson, Ross Taylor, Colin de Grandhomme are all capable of displaying individual performances and taking away the game from their opponent’s grasps within a couple of overs. This was evident in the first T20I’s and the same will be expected in the final game as well. Presence of power hitters – The Black Caps possess players such as Tim Seifert, Colin Munro, Daryl Mitchell, Jimmy Neesham, Colin de Grandhomme, Scott Kruggeleign who are pinch hitters and can up the ante at any given time. This can help the Kiwis to post high totals or even chase down mountainous totals at ease. Inability to build partnerships in middle overs – One of the problems that the Kiwis have faced throughout this series is their inability to consolidate wickets and build partnerships in middle-overs after losing wickets. This was one of the major reasons why they lost the ODI series so comprehensively, and the same was evident in the second T20I as well. Presence of quality finishers – The Indian batting order possesses of quality finishers who more often than not make sure to take their team to victory. Players such as Rishabh Pant, MS Dhoni, Krunal Pandya, Dinesh Karthik and Hardik Pandya are all capable of batting well and also become the finisher and take their team past the finish line. This has in the past been handy for the Men in Blue and the same was evident in the last match as well where MS Dhoni and Rishabh Pant finished the job for India. Daunting bowling attack – The Indian bowling line-up in the present have decimated teams all-round the world and this has been evident in the present New Zealand series as well. Apart from the first T20I where the bowlers were hit all round the park, the Indian bowlers have bowled superbly in the series and have always kept the Kiwi batsmen at check, picking up wickets at constant intervals while also restricting the Kiwis to post big totals. Inexperienced batting line-up – Even though the Indians won comfortably in the second T20I, yet I would suggest that the Indian batting order sans Virat Kohli is a bit of inexperienced in international exposure. Apart from Rohit Sharma, Shikhar Dhawan and MS Dhoni, none have played international cricket regularly or consistently and all of them are looking to cement their place for the World Cup squad. Thus, the likes of Vijay Shankar, Rishabh Pant, Dinesh Karthik, Krunal Pandya, all have to play maturely and not throw up wickets in tensed situations as India will be vying up for a series win in the third T20I. We expect India to continue their winning momentum and win the match against Black Caps who are really struggling to consolidate their middle-order and also leaking away runs while bowling and fielding.